I don’t believe in talent. I believe in tenacity. I believe what people often site as “talent” is actually desire and perseverance. I know plenty of people with talent…and they do little or nothing with it. Tenacity is never giving up until you’ve attained your goal. The level you attain is limited only by your work ethic. While I was working as a production artist, I took a workshop from Thomas Blackshear at the Academy of Art in San Francisco. I was in awe of his ability. He is still, in my opinion one of the best illustrators in the country. Blackshear asked everyone in class what we wanted to learn that week. 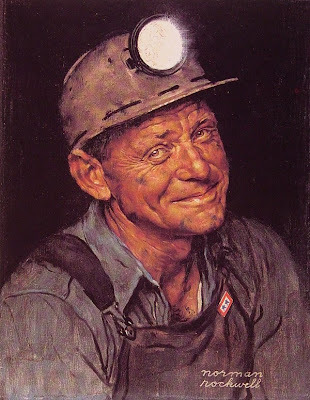 Most people wanted to learn how to copy someone else’s technique like Bernie Fuchs, Mark English, David Grove or Drew Struzan. I asked him to show us his process for one of his illustrations. 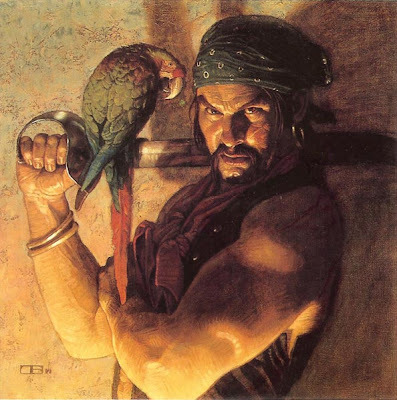 Blackshear had just finished a painting of a pirate with a cutlass over his shoulder. He said he would bring in his preparatory work. I thought—cool! I’ll see his preliminary drawings and a color comp, too. The next day we walked into the class and the entire wall of the room was covered with his preliminaries, thumbnail compositions, value patterns, color comps, photo reference, rough sketches and the finished painting. There were probably 20 or 30 unique images for every stage of his painting. Good enough wasn’t good enough for Blackshear. He was at the top of his field and in all probability could have coasted—but he didn’t. It was a great lesson in perseverance and how much hard work separates the best from the mediocre. 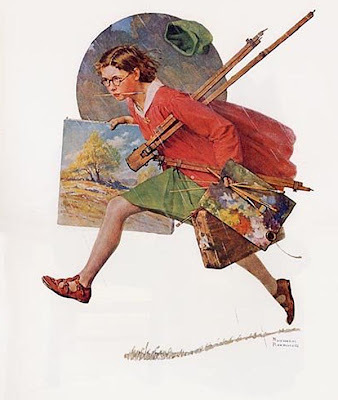 In his book, My Adventures as an Illustrator, Norman Rockwell talks about classmates at the Art Students League chiding him for being focused and working so hard. They would say things to him like, If I worked as hard as you, I would be as great as Velasquez. His response was, Why don’t you? — but they never did. In the end, he became one of the greatest illustrators in America. People say they want something and they declare they are willing to work hard for it. But really, they want something the way a two year old wants it—they want someone to give it to them. People decide they have worked hard enough and then they quit. They are not willing to sacrifice their comfort, a family life or money to achieve the goal ahead of them. They unwittingly (or knowingly) take on too many interests and other commitments that render them incapable of continuing to pursue their dream. There you have it—Feel free to agree or disagree. When I was 16 years old I wantede to learn to play guitar. Once I decided to learn to play, I dedicated myself to study. My friends would often go out ask me to come with them. I would look at what they were doing and decide to stay home and study instead. They would get so upset with me for not going. The next day, They would visit and tell me how it went the night before. Sometimes it was boring and sometimes it was exciting. By exciting, I mean usually a fight broke out. I always found a way to avoid fighting. Then they would ask what I did. I would hook up my electric guitar and play something by Van Halen. Like eruption or Aint talking bout love. I would play song after song, note for note. They would sit quietly with their mouths open. I absolutely agree. Talent is a dumb word people use to describe their naiveté regarding how much work goes into creating something spectacular. 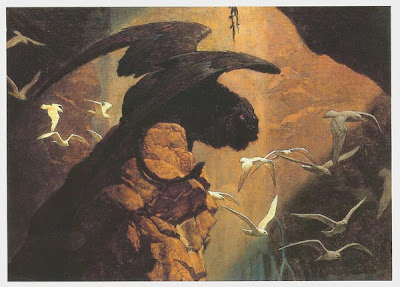 Your story about Thomas Blackshear's exhaustive preparation is testament to that. As "Art and Fear" states, if talent were true, the more amazing the work, the easier it would have been to create because of the artist's sheer talent. Personally, if art were easy, it wouldn't be worth striving for. Opportunity often comes disguised as hard work! I agree, hard work is the key even though we are all brought up with the myth of talent. Your story is similar to many others who sacraficed their time in pursuit of a dream. Those are some great songs; I would have been sitting with my mouth open too. Always enjoy your thoughts. Recently read a book on this subject. "Talent is Overrated" by Geoff Colvin. It's in the business section, but he takes these ideas about talent and hard work and applies them being the best artist, accountant or saleman, etc. You would like it. An observation that relates to your post. I have observed people saying to a musician, artist, writer something like "You are so lucky. I wish I could play the piano like that." many years ago a friend confided in me that he was a little upset with remarks like that. He was a painter and told me "I have been studying art since I was a kid and I work at it everyday. People just assume I have been given this gift." You are so right. I happens all the time and it removes any credit from the artist or writer or musician. Jimmy Stewart's character says this prayer at the dinner table to honor his dead wife’s' wishes he be a good Christian. the stands observing because he didn't have what it takes to train and compete. Armand . . . looked for an email for you but couldn't find one so I thought I'd post this in the hope you would consider my request . . . I would like to see one of your thoughtful posts about edges . . . how you make them and keep them either hard, soft, lost or found. Edges give me a lot of difficulty. I find it hare to keep an edge, whether soft or hard. Over a few days of painting, my edges keep getting harder and sharper. Please comment on this for those of us who struggle with edges. I have some things written on edges so I’ll post them this Sunday. Great post! Very inspirational, thanks for sharing. Wow, what a post! You sure don't hold back. Thanks for the honesty and the inspiration!